Hybrid mattresses may take the best of both worlds. Pairing an innerspring and all foam bed to create the ideal feel and balance. You can get the very best of a memory foam mattress, a latex mattress, or even one with gel memory foam if you want to try out something different for your sleeping situation. However, just because it is a hybrid doesn’t mean it is going to be the best. That is why we are narrowing down the best hybrid mattresses that we have tried ourselves and can confidently recommend in this buyers guide countdown! Below we have our top 7 hybrid mattresses. Each of these beds combines the best foams and coil systems for a perfect feel when you want to get your beauty rest just right. These adaptable and supportive mattresses each have distinct qualities that set them apart too. We’ll talk about mattresses for back pain and mattresses for side sleepers. Also, you can also see if there’s a good mattress for stomach sleepers you might want to try out too! Whether you are a side sleepers, a warm sleeper or just want the best of the best, we have the perfect pick for you. The Brooklyn Aurora is the premium hybrid by Brooklyn Bedding. This thick and durable mattress is setting the standards for affordable luxury mattresses and hybrid beds. This spring and foam bed is not only from a reputable company, but is super comfortable. The three comfort options make it ideal for any sleeper in any sleeping position. And the focus on details make it a truly amazing mattress from every angle. The Brooklyn Aurora uses a combination of three layers of motion isolating foam. Two layers of TitanFlex latex alternative foam and hybrid memory foam. This provides great pressure relief, responsive and adaptable comfort that evenly distributes your weight in what you’d expect for a luxury firm bed. While the durable coil system provides plenty of air flow and solid support. The materials in this mattress are emphasized with cooling properties in every aspect. This creates a bed that is perfect for the hottest of sleepers that will feel comfortable and temperature neutral all night long. These details easily make this our pick for best hybrid mattress overall. Read our full review HERE or Shop the Brooklyn Aurora mattress at BrooklynBedding.com. You want a durable and well made, top hybrid mattress that is super thick and luxurious with quality materials. If you want a very comfortable bed that even gives you the choice of soft, medium and firm feels. You like a very cool mattress that also is durable from all aspects, has minimal motion transfer, relieves pressure points excellently, and comes in at a good value. You want to buy from a company with a solid reputation that has been around for years and isn’t going anywhere, producing amazing foam hybrids in a variety of mattress sizes. The Oceano by Brentwood Home is the best of the best when it comes to hybrid mattress options. This 14″+ bed uses a combination of thick, pressure relieving memory foam and a responsive mini coil system. 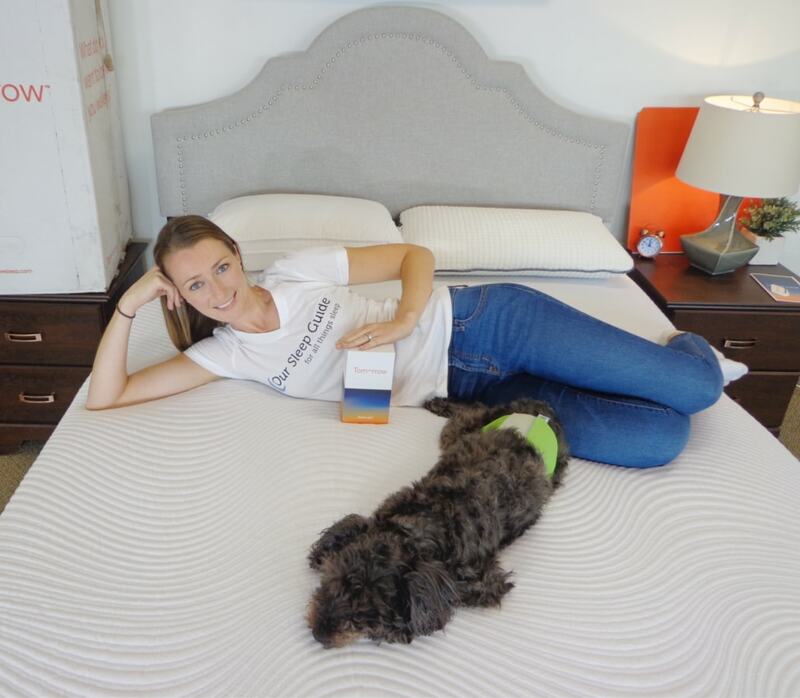 This creates perfectly balanced support and comfort that works with every sleeping position, giving you an upgraded, firmer feel from pure foam mattresses without aggravating any pressure points on your body. The base coils provide a sturdy foundation and durability for the long haul. The plush layer of natural wool under the TENCEL cover adds just a touch of luxurious softness. The medium plush feel of the mattress is just enough to cradle you without loosing support. The price for this ideally adaptable bed is very affordable for these types of hybrids. And the added benefits to sleeping on this dreamy mattress are ample. Making this our number two choice for the best hybrid mattresses. 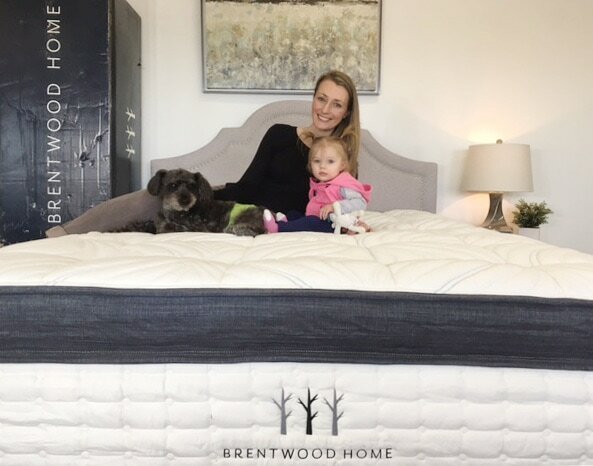 Read our full review HERE or Shop the Oceano mattress at brentwoodhome.com. 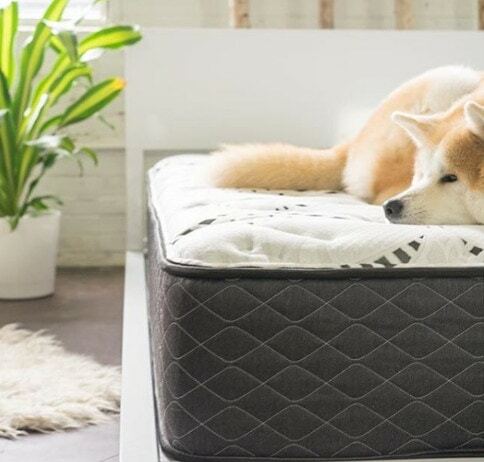 You like a very premium, well made hybrid bed that uses non toxic & eco-friendly materials. 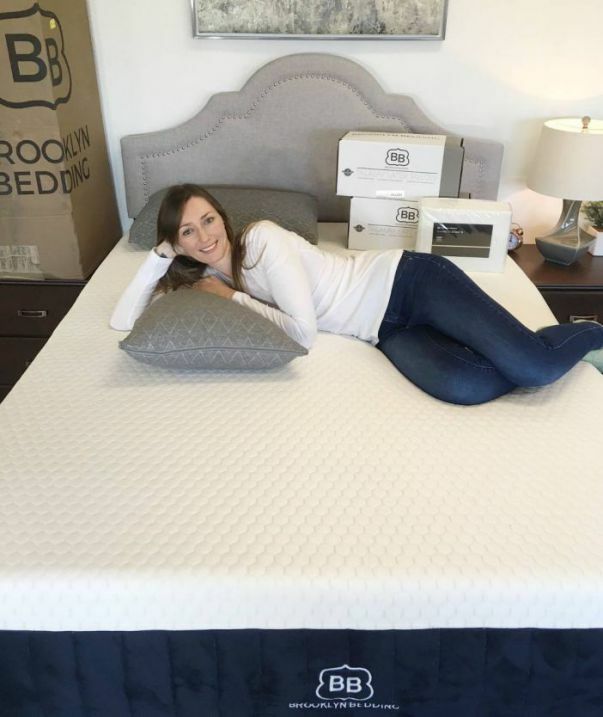 You like the feel of a plush medium mattress that uses memory foam to relieve pressure as well as uses a micro coil system for adaptable support as well as a solid, durable coil system from one of the most reputable mattress brands out there. If you like a mattress that doesn’t retain too much heat, has very minimal motion transfer and is very sturdy and solid. You like buying form a company that has great customer service, a fabulous reputation and years of experience helping people get the best out of their hybrid mattresses with foam layers. The Brooklyn Signature was revamped at the beginning of 2018. This once all foam mattress is now one of the best hybrids we’ve tried with nothing more than a simple change. 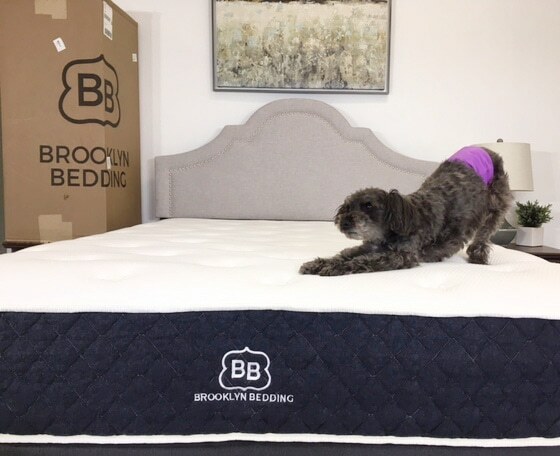 Brooklyn Bedding swapped out the base foam for a durable coil system not only improved feel and support, but also heat dissipation longevity and value. The New Brooklyn Signature still uses the pressure relieving and responsive TitanFlex latex alternative foam. It also is still available in a soft, medium and firm option for your desired feel. This mattress has so many great qualities and one of the best is that it doesn’t bust the budget and is also one of the mattresses for back pain you can have delivered. The Brooklyn Signature has a great price point, but also is offering an additional 20% off coupon too. Making it the top pick for best hybrid mattresses on a budget. Read our full review HERE or Shop the Brooklyn Signature mattress at brooklynbedding.com. You like choosing your comfort & firmness option between soft, medium & firm mattress types. If you like the feeling of a responsive, latex like top hybrid foam that is also breathable and is paired with a solid coil system. You are on a budget and want a mattress that is a great value, constructed well and uses quality materials for its foam layers. You like a company that has a long history and solid reputation that ensures top notch customer service and products for all its sleep mattresses. The Luft hybrid is another mattress that is not only very comfortable, but very durable. This bed takes the best of the innerspring mattress and the best of an all foam to create a premium hybrid. The Luft is a very thick and durable mattress with a heavy duty coil system for plenty of support. It also incorporates several layers of comforting and inviting foams. This creates a solid yet plush ideally feeling sleeping surface. This hybrid comes from a company with a mattress manufacturing background. And you can tell by the focus on quality in materials and construction. This mattress really does a great job of combining the best of two worlds. Save $175 on your Luft withcoupon code: PRES175. Read our full review HERE or Shop the Luft hybrid mattress at luftbeds.com. If you want a mattress that has it all and will sleep cool, have durable edges, be ideally comfortable as well as minimal motion transfer. The Ojai by Brentwood Home is one of three mattresses they offer. This bed is their entry level priced mattress that may be easy on the wallet, but is still premium. This hybrid combines memory foam and latex with a coil system for ideal comfort. It is a perfect medium feeling bed that has the optimal amount of hug and spring. This allows great pressure relief as well as a mattress that is easy to move on. This 12″ thick hybrid mattress uses high end gel infused memory foam, Flo foam and natural latex. Paired with a durable and thick coil system for plenty of flexible support and spinal alignment. It also has a moisture wicking layer of wool under the breathable and soft TENCEL cover. All of these layers meld into a great mattress. The price for this perfectly balanced bed is very affordable too. This entry level Brentwood Home mattress may be less expensive, but it doesn’t lack on quality of comfort. Read our full review HERE or Shop the Ojai mattress at brentwoodhome.com. You like a very premium, well made durable mattress that uses non toxic & eco-friendly materials. The Bear Hybrid is designed to create a balanced, comfortable bed with great support. As well as focuses on using amazing properties of celliant that aid the body in recovery. This mattress is a luxurious, traditional feeling mattress that uses a pocketed coil system and premium foams. The new Bear mattress is a super thick 14.5″ bed with a perfect medium firm feel. It has a thick layer of performance foam that is responsive and contouring. As well as a nice layer of gel infused memory foam for ideal pressure relief. The combination of these two foams pair perfectly with durable 1300+ pocketed coil system over a thick base foam. This mattress also features its hand tufted quilted celliant cover that is great for helping your body recover after activity. This makes for a hand-crafted mattress that is superior in quality and comfort. As well as designed for every type of sleeper and size. And save $125, just click the image below! Save BIG On Your New Bear Hybrid HERE! If you want a thick hybrid mattress that is ideally comfortable and supportive. You want a mattress that has Celliant properties that helps with recovery from active lifestyle. If you like a well priced mattress that checks all the boxes and is made of solid, great materials and durable construction. You like a company that has a solid reputation and history as well as a longer than usual 20 year warranty. The Tomorrow Sleep hybrid mattress is a true memory foam feel combine with a solid and durable coil system. This makes for a premium hybrid at a very affordable price. 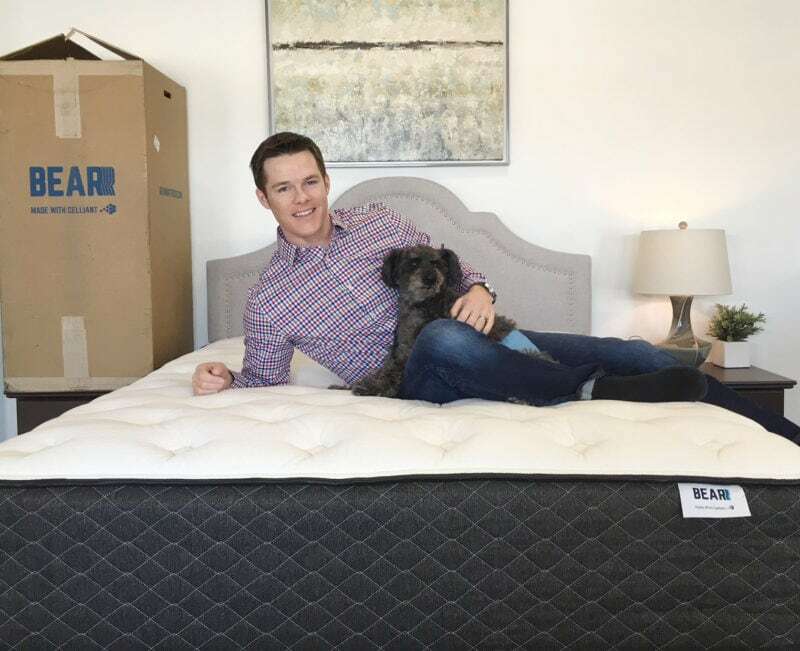 It also has a reputable brand behind its name, with Serta Simmons partnered for the best and latest trends and technology. It also is available in two feels, softer and firmer. Making it easy to find the perfect option. This very detailed bed has a meticulous design that has been thought through from top to bottom. Allowing it to check several boxes on our list quite easily. Along with their mattress they also have come out with an entire line of products to promote the best and most restorative sleep. Potentially the most important of these accessories is their innovative sleep tracker. This small device easily connects to your mattress to analyze your sleeping patterns to offer suggestions for better rest. If Tomorrow is the bed for you make sure you also use coupon code: OSG100 to save $100. Read our full review HERE or Shop the Tomorrow Sleep mattress at tomorrowsleep.com. If you want an innovative company that is also partnered with an industry leader and expert in Serta Simmons. It is easy to see why these mattresses fall into our Best Hybrid mattresses category. They all have amazing materials, construction, comfort and benefits for affordable prices. However, if you still aren’t sure which one is best for you, no problem. Check out the mattress comparison tool and see the specs of these beds side by side.